The Eureka vacuum range is fairly comprehensive and with the level of choice available, you need to carefully consider this purchase from all the necessary angles, otherwise you might end up with a model that doesn't properly suit your individual requirements. We're going to try and help you make the right decision by outlining some of the main considerations that we usually talk about with clients in the Toronto, Thornhill and Richmond Hill areas. Specifically, what will you use it for? - This might sound like a silly question, but considering where you will use the vacuum to clean is important. For example, if you're likely going to use it to vacuum the car, in the garage or inside a summer house, your new vacuum needs to be portable and capable of dealing with a range of conditions. If you're going to use it to clean up pet hair, then your new vacuum will need to be tailored to that requirement. Upright or Canister Model? - These are the two main options for most homeowners when selecting a new Eureka vacuum and they each have their own benefits. An upright vacuum minimizes the amount of bending you have to do, which is great for anyone with back problems, but they are not easy to pick up and carry, which is not ideal if you live in a two or three story property. Canister vacuums have a greater range of motion and are more capable of cleaning those hard-to-reach areas. Which of these situations matches your property? Should You Go Bagless? - The main benefit of going with a bagless system are the long term savings that it will bring. You won't need to repeatedly buy new bags, but this does come at a certain cost; maintenance of a bagless Eureka vacuum is typically more involved since the dirt and debris is collected within the vacuum itself rather than in a disposable bag. What level of maintenance are you prepared to commit to? If you would like to talk to one of our experts about your needs and have them recommend the perfect Eureka vacuum, contact us today on 905-882-9898. 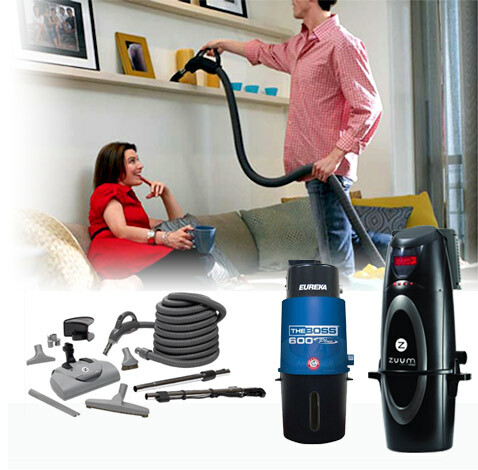 If you are interested in a Eureka vacuum and you live in Toronto, Richmond Hill or Thornhill, contact Amati Home Systems Ltd.